It may have seemed like a great time to work in the homebuilding industry in 2006, but Danette Alfonso saw the writing on the wall. She knew it had turned into a bubble that was about to burst and she chose to take the plunge anyway, accepting a position on the in-house legal team at national homebuilding company Lennar. 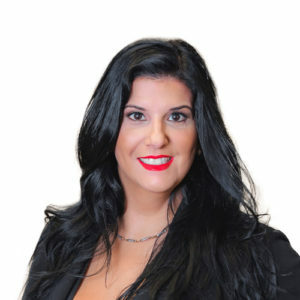 Now, Alfonso is Lennar’s associate general counsel, and she also manages all labor and employment at the company, including all its subsidiaries. Her role at the company has changed as much as the company itself has evolved during the decade she’s been working there. To survive, Lennar needed to take an entrepreneurial approach to the way it did business. It needed to look for opportunities and related industries into which it could branch out and stay relevant in a fast-changing economy. In 2007, Lennar created Rialto Capital Management, a private real estate management investment company. “That was a way in which we were able to take that opportunity to find another business avenue during a time when we were heading towards a downturn,” Alfonso explains. In 2011, the company introduced Lennar Multi-family Communities. Prior to that point, the company had been focused on single-family homes. It had worked with town homes and some smaller multifamily properties, but nothing like the high-rise condos or rental properties they work with now. It’s a whole new business unit that Lennar created to stay relevant. They also acquired WCI Communities in February 2017 to expand their holdings in Florida. “We’ve looked for opportunities to either grow or change as market conditions have required,” Alfonso says. Alfonso may have been thrown straight into the fire when she started working at Lennar as it was implementing all these changes, but it was a great learning experience for her. When she joined Lennar’s in-house team, Alfonso was working primarily on litigation. Over the years she started to do more and more what she would call “advice and counsel,” to the point where she now considers herself to be more of a partner to the business people she works with. One of her overarching goals is to help the business people achieve their goals. They come to Alfonso, tell her what they’re trying to accomplish, and ask if she can help them meet their objectives while minimizing their risks of litigation. It’s one of her favorite parts of her job, and it’s so different from what she would be doing at a law firm, where you’re often assigned the case and you follow the typical procedures to try to win that case. Her role then morphed again as she took on more employment-facing responsibilities. She now manages all labor and employment for Lennar and its subsidiaries, and it’s something she truly enjoys at her job. And in today’s digital age, Alfonso is also helping the company with regulatory matters, privacy issues, digital, and social media policies. “As the economy, the market, and the company all changed, so has my role changed and expanded,” Alfonso says. For both Lennar and Alfonso, it’s always about what’s coming next.